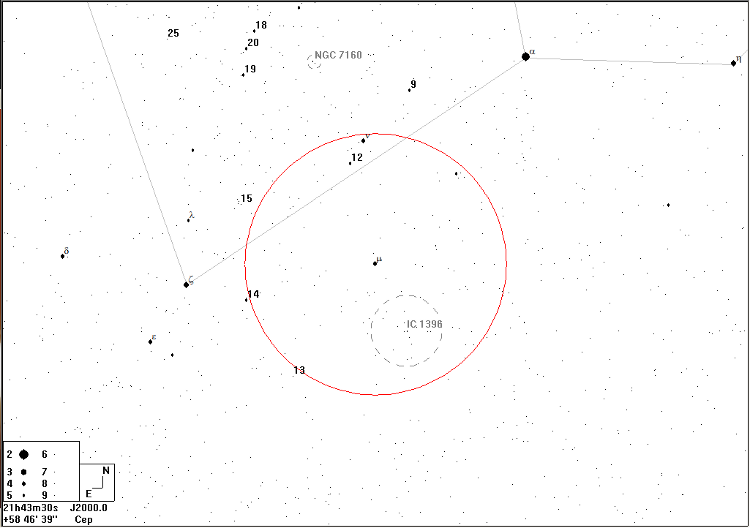 To find μ Cep, place α Cephei at the NW edge of a 5° field and μ will be diametrically opposite. 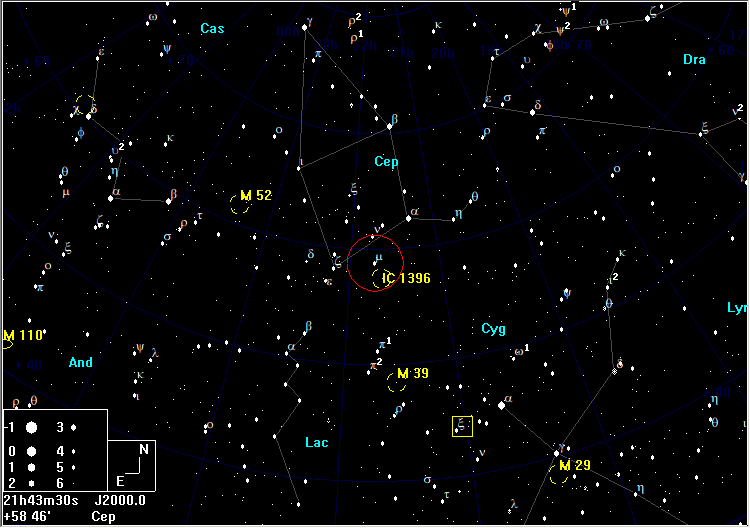 μ Cep is one of the reddest stars in the sky; it was named "The Garnet Star" by William Herschel. 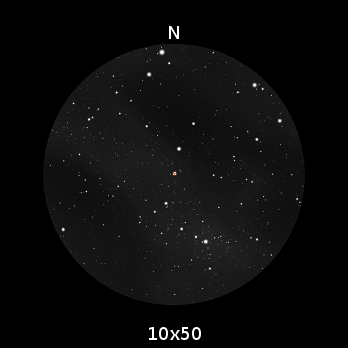 The deep orange colour of this red giant is nicely brought out in 10×50 binoculars. It has a variability of a bit under a magnitude, but is usually around 4th magnitude. It is one of the largest known stars; if it replaced the Sun, it would extend well beyond the orbit of Jupiter. It is destined to become a supernova.